A couple more examples of initial design proposals for buildings in Waterplace Park should suffice to nail down the veracity of the idea that a perverse hand was directing the Capital Center Commission and its design review panel in the first decade of this century. 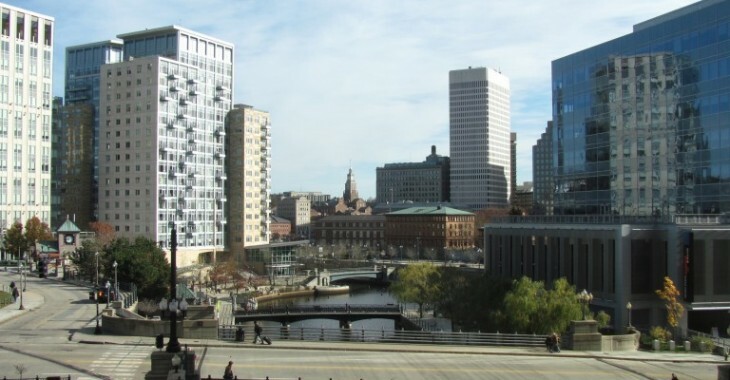 After a decade of reasonably high design quality for buildings produced in the Capital Center, such as Providence Place, the Westin Hotel and the Courtyard Marriott, initial proposals were brought to review for Parcel 6 (above) and Parcel 2 (below). Instead of these relatively appealing proposals we got Capitol Cove (whose sales were so poor that the developer leased it to Johnson & Wales as a dorm) and the Waterplace Luxury Condominium towers, whose units took so long to sell that the developer leased them out. They are now selling, but one must wonder at the size of the price penalty for condos whose view is of the GTECH Building on the other side of the basin. Below is the original post giving some of the history of Parcel 9, on the west side of Waterplace Park, opposite Parcel 2 on the basin’s eastern edge. At the end of this post, beneath the description of early Parcel 9 proposals that were superceded by GTECH, are two photographs representing Waterplace circa 2000, and a decade later, after the unfortunate incursion of modern architecture. I will also add, at the bottom, a map of the parcels drawn up after River Relocation (Bill Warner’s new riverfront) was grafted onto the original Capital Center Pan. I am always (and justly) complaining that Waterplace Park was trashed by the architects, developers and Capital Center commissioners who in the first decade of this century let ugly modernist buildings squat on the beautiful new waterfront created for downtown Providence by the late architect and planner Bill Warner in the 1990s. Here is some of the evidence. I will add other proof, including the more traditional initial proposals superceded by modernism for Parcel 2 (now the Waterplace Luxury Condos) and Parcel 6 (now a dormitory), at the end of today [tomorrow morning, it turns out] and repost. Worst, of course, was the GTECH building, on Parcel 9. The first proposal, in the late 1990s, was an ugster designed by New York starchitect wannabe Hugh Hardy. It got uglier and uglier as you went around its four different sides. Mayor Buddy Cianci called for its redesign on The Truman Taylor Show (Channel 6, I believe), and Hardy, with a degree of regret he later admitted, did the redesign, with most of the actual work by Rhode Island architect Kip McMahan of Robinson Green Beretta. His design appears at the top of this post. 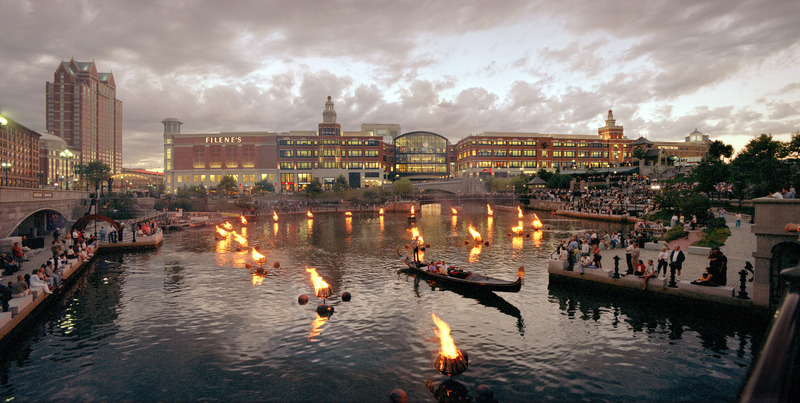 It is not great, far from it, but it does a much better job than GTECH of fitting in, especially with the Providence Place mall (then open just a year or so), but also on the cove side (below). View of Waterplace from first level of Providence Place mall’s Wintergarden. 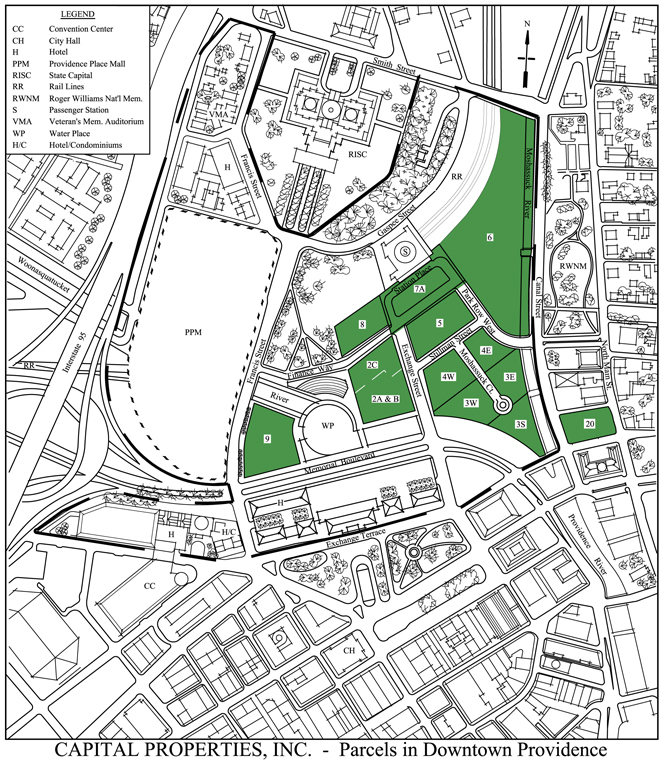 Map of Capital Center District showing numbered development parcels. 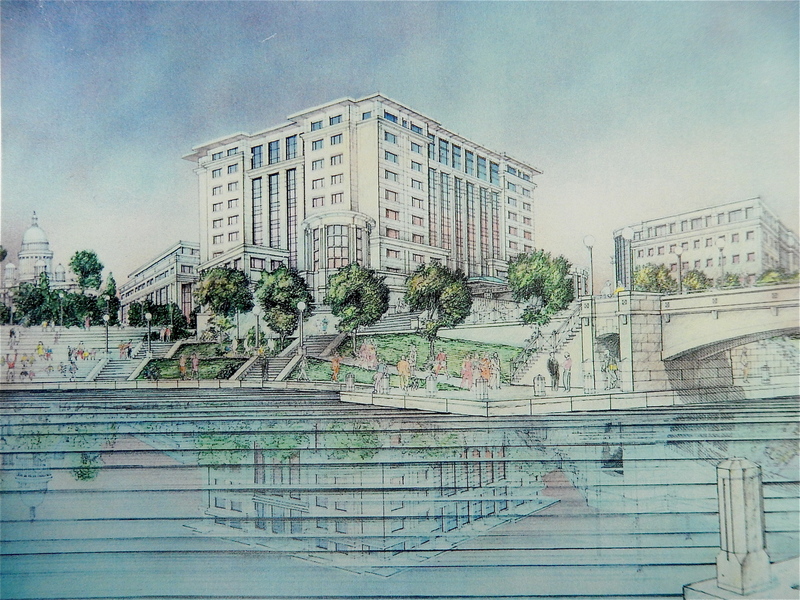 This entry was posted in Architecture, Architecture History, Providence, Urbanism and planning and tagged architecture, Capital Center, Design Review, Modern Architecture, Provience RI, Waterplace. Bookmark the permalink.